Matchday 2 aside, Leverkusen had to wait until two weeks into the Rückrunde to penetrate the UEFA Champions League places last season. Roger Schmidt's men - powered by the free-scoring Javier 'Chicharito' Hernandez - nonetheless finished the campaign in third. Runners-up five times in the 14 years between 1997 and 2011, Bayer most famously fell short in each of the Bundesliga, DFB Cup and Champions League at the final hurdle in the 2001/02 season. The question is, therefore, whether they can end their curse under Schmidt. Leverkusen's cause next term will be helped by the additions of forward Kevin Volland from TSG 1899 Hoffenheim and former 1. FSV Mainz 05 captain Julian Baumgartlinger. Meanwhile, the return from injury of recent Copa America Centenario winner Charles Aranguiz will feel like a new signing in its own right. Volland has hit the ground running since swapping the WIRSOL Rhein-Neckar Arena for the BayArena in May, scoring five goals in his four games to date. 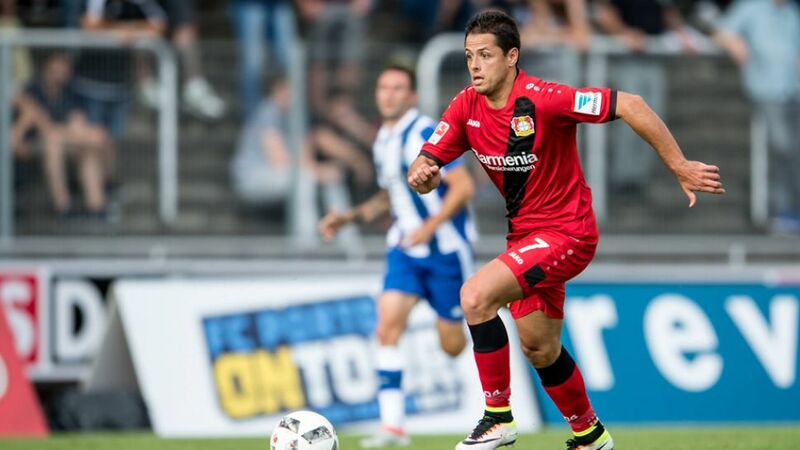 The six-times capped Germany international has formed a quick understanding with Chicharito, assisting the Mexican in Leverkusen's 1-1 draw with FC Porto. Baumgartlinger was a stand-out performer for an otherwise disappointing Austria side at UEFA EURO 2016, helping hold Cristiano Ronaldo and eventual champions Portugal to a goalless draw in the group stages. Having steered Mainz into the UEFA Europa League group stage places last term, the midfielder will be hoping to go at least one better in 2016/17. An Austrian Bundesliga champion with RB Salzburg as recently as the 2013/14 season, there is cautious optimism at the BayArena that the 49-year-old might be the man to wrest the title away from FC Bayern München or Borussia Dortmund for the first time since 2008/09. Schmidt wears his heart on his sleeve, and has created a strong team spirit amongst a squad that are now, after two seasons, fully in his own image. His goal haul of 17 saw him become the top-scoring Mexican in Bundesliga history, whilst he is only one strike away from Jared Borgetti's record 46 goals for the Mexico national team. Hitting his footballing prime having just turned 28, an in-form Chicharito will be key to Leverkusen's attempts to upset last season's top two in the coming campaign. Leverkusen kick off the campaign at fellow Champions League qualifiers Borussia Mönchengladbach. Die Werkself will renew their ever-expanding rivalry with Borussia Dortmund on Matchday 6 before concluding the Hinrunde with a visit to North Rhine-Westphalian neighbours 1. FC Köln on Matchday 16. Expanded to allow for 30,210 spectators in 2007, the BayArena hosted four matches at the 2011 FIFA Women's World Cup.